Pay securely by Credit Card or PayPal Account without exposing your details. All Puzzle Palace Australia’s Credit Card Payments and PayPal Account Transactions are processed by PayPal’s secure Payment Gateway using SSL encryption for all transactions so your details are protected. 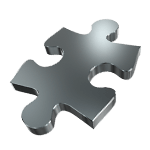 No Credit Card Information is Shared with Puzzle Palace Australia or Stored by Puzzle Palace Australia. We also accept EFT (Electronic Funds Transfers/Direct Credit), Cheque or Money Order. All orders can be placed through our Website. If you have any difficulties with the Puzzle Palace Australia website, please use the CONTACT US page and we will work to amend the problem as soon as possible.